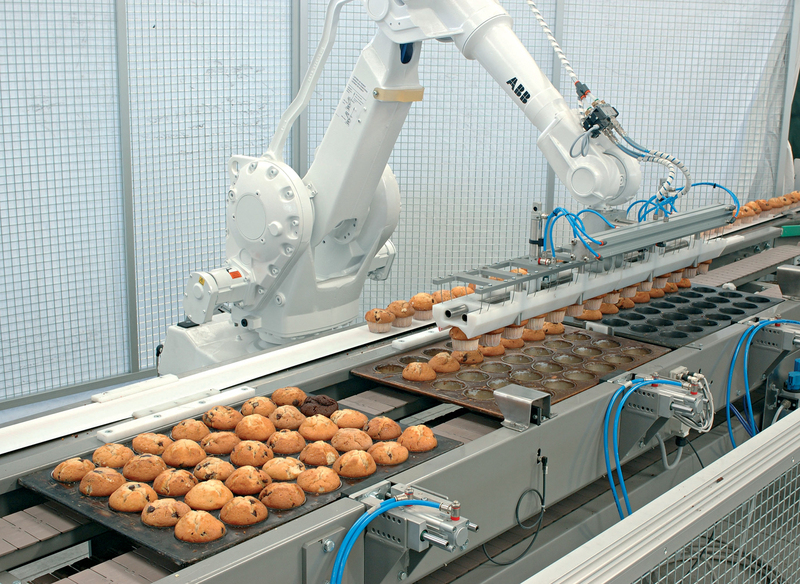 ABB’s forthcoming bakeries-focused Switch to Robots seminar (http://bit.ly/S2RBakery) will explain how ongoing developments in robot technology are opening up new possibilities for transforming productivity and efficiency in baking applications. Taking place at ABB’s Solutions Centre in Milton Keynes on Wednesday 26th April 2017, the event will show how robots can bring a range of benefits including enhanced flexibility to handle multiple products, reduced wastage and increased yields. Specifically designed for those with little or no experience of robotic automation, the seminar provides a step-by-step guide to introducing robotic automation to the factory floor. All aspects are covered, including how to tell whether a robot could be beneficial, how to design a robotic installation, where to get help and how to make a financial case for an investment. Real-life examples of bakeries that are using robotic automation are also included, showing how modern robots are handling a growing range of tasks, from picking, packing and palletising through to slicing and decorating baked goods. There will also be a hands-on workshop session in ABB’s training centre, providing the opportunity to see and use some of the latest robot technology, as well as a demonstration of ABB’s RobotStudio offline programming software, which enables complete robot cells to be developed in a simulated environment without disrupting actual production. “Misconceptions about the cost, flexibility and complexity of robots are stopping many small to medium UK bakery companies from realising their true potential,” says Mike Wilson, General Industry Sales Manager for ABB Robotics in the UK and Ireland. To book your place, please email robotics@gb.abb.com or call 01908 350300, ref. ‘Switch to robots seminar - bakery’ or visit http://bit.ly/S2RBakery. This press release was distributed by ResponseSource Press Release Wire on behalf of ABB in the following categories: Food & Drink, Business & Finance, Manufacturing, Engineering & Energy, for more information visit https://pressreleasewire.responsesource.com/about.